How to find a responsible breeder who will sell you a healthy purebred show or pet puppy and be there after the sale! You’ve decided on the perfect breed but how do you locate a healthy, adorable puppy from a responsible breeder? Let’s discuss what to look for and what pitfalls to avoid in choosing your breeder, who should be someone can count on for advice and guidance in raising your new puppy. ETHICAL BREEDERS are found by looking online and by calling local breed clubs. Networking may send you to another breeder with a puppy available. Happy pet owners and vets recommend their breeder. Ethical breeders will question your home situation, family, children’s ages, other pets, fencing, and work hours. They give advice regarding feeding, housebreaking, and other issues. If they aren’t comfortable with your answers, they will not sell you the puppy. In essence, these breeders value their puppies and are extremely serious about the pup’s well-being. ETHICAL BREEDERS raise their puppy in a family environment. This puppy is accustomed to normal household noises and routine and is adaptable to change. The puppy will “meet and greet” without reservation. The lovingly raised puppy accepts handling and interacts easily. The parents may be on the premises but if an outside male was used, pictures are available. Health clearances of parents may be available. Registration papers from the American Kennel Club insure your puppy has a heritage and verified genetic background. 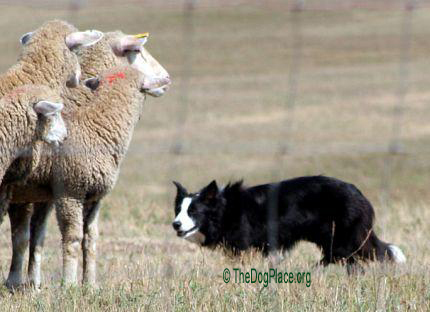 Ethical breeders are often breed club members who adhere to a code of ethics. ETHICAL BREEDERS usually have a waiting list and may require a small deposit to hold your puppy. This insures the puppy is yours. Most breeders do not take credit cards. Registration papers from the AKC and a 4 generation pedigree may accompany your purchase. The truly responsible breeder keeps puppies with their mother and litter mates for a minimum of 8 weeks for normal size breeds and as long as 12 weeks for toy breeds. During this time, you may be welcome to sit on the floor and interact with your puppy as early as 6 weeks. ETHICAL BREEDERS have vet checks. Puppies are wormed, flea free, and have first shots. You go home with leads; proper food, instructions, toys, blankets, and other items to insure your puppy’s comfort. You will be encouraged to set up health schedules with your vet. The responsible breeder appreciates feed-back on your puppy. They are there for you regarding questions and proper grooming and have made every attempt to produce a lifelong companion that brings joy to your home. Ethical, responsible breeders often have a web page listing puppies, adult dogs, and sometimes, stud service. Ethical breeders will not be offended by questions. 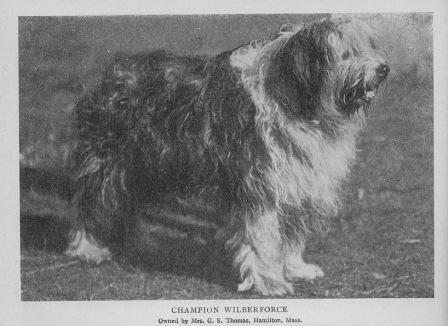 UNETHICAL BREEDERS often have several different breeds. Puppies are sometimes raised in cages, crates, kennel buildings, barns, or dirty out-buildings. If there is no mother dog, easily identified by her mammary glands and interaction with her puppies, you may have concerns that this is just an outlet for puppy mills or wholesale breeders. Such puppies often are frightened by normal household noises and show little interest in people. They may resist handling and often have difficulty bonding. Buying on the Internet or through the newspaper without visiting the kennel or seeing the parents can be disastrous. A conversation with the breeder will reveal their true intent. Asking the right questions will determine the background, care, quality and temperament of a potential puppy. Breeders who breed solely for money will NOT welcome your questions. Neither will they ask questions regarding the puppy’s future environment. UNETHICAL BREEDERS want you to buy your puppy NOW! They will suggest someone else is interested in the puppy so you should purchase it immediately! Often the puppies are not clean and toe nails are long. Once purchased, the unethical breeder will NOT be available for future questions. UNETHICAL BREEDERS sell puppies as early as 5 weeks. The puppies do not have the normal interaction with people or the bonding required to make a good pet. Taking a puppy too early may cause social problems later in life. Unethical breeders do not keep a clean environment and puppies that walk in their own feces are difficult to housebreak. Such breeders discourage viewing the premises where puppies are raised and may offer to meet you “half-way” to deliver your puppy. They won’t discuss health concerns or certifications and do not welcome your interest in the parents. UNETHICAL BREEDERS do not encourage a vet check and most will not or cannot discuss genetic issues. A pedigree or health certifications on the parents will not be offered although some unethical breeders offer registration papers from “fly by night” registries that have no code of ethics, validation of parentage or genetics. If you are offered an unusual color or a “tea cup” puppy, be aware that these puppies may be predisposed to genetic health problems that will require special care. The unethical breeder may describe these puppies are “rare”. If the puppy is of a breed you’ve never heard of, be aware it could be a mutt or a cross of two inferior parents of different breeds. This also opens the door for genetic, growth, or behavior problems. If you feel sorry for the puppy and buy it, the unethical breeder will quickly breed more litters. Primitive man began to selectively breed dogs 30,000 years ago. 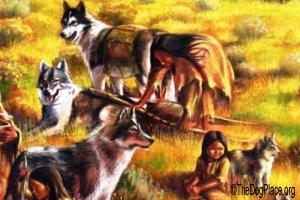 Wolves helped plant-eating humans evolve into meat-eating hunters. Breeds still performing the job for which they were bred!